As you know we are busy planning two FABulous birthday party features to share with you and we wanted to give you a sneak peek at what we are working on. This is one brilliant invite right? The colors are perfectly matched with the picture and the theme is just what we wanted. 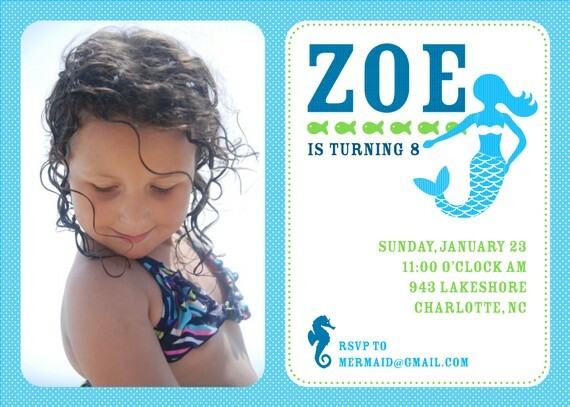 That is what you get with Anders Ruff Custom Designs - an invitation that really is a masterpiece. Yes, we have it framed & can't stop looking at it - if you were wondering. Stay tuned for the full party details & photo shoot! In the mean time visit the Anders Ruff blog, LOVE them on Facebook, follow them on Twitter & get your shop on on Etsy.